Besides providing athletes with top-notch sport nutrition, one of our favourite things to do is read our customer reviews. We've compiled some below - do you love your Infinit blend? Make sure to leave us a comment letting us know what you like best!! Chris: "... I now have one product to quench my needs during the run and bike and no longer carry any gels." Eleanor: "... I have suffered with digestive issues with other products, but not this one." Read more CUSTOM reviews here. Eric: "... 132km of bike and 13km run on a hilly course, followed by one bottle of Repair... the results are clear! I was top shape the next morning and even now two days after!! Beats anything I have ever tried so far!" For more reviews on Infinit REPAIR, click here. Chrissy: "This is by far the best post workout shake I have ever had..."
Erica: "Best fuel on the market. Taste is clean and not overly sweet like most powders on the market. The name really sums up the feeling you get after you take it... Recovered!" Click here to see why others love Infinit RESCUE. Andrew: "... I recommend the RAW for all my athletes! Love this stuff!" Garth: "The gold standard for whey protein is right! So easily mixed with anything that the options are limitless for ways to get extra high quality protein!..." Melonie: "I have had some of my best race results fuelled by Infinit. It has helped take my performance to another level." More RIDE reviews found here on our website. Angela: "We are really happy since we switched to Jet fuel, I love that I can make it anywhere and how affordable it is too." See what others have to say about JETFUEL by clicking here. Check out the rest of our product reviews by heading on over to our website! Got a text from Chris Uszynski of the RunningFlat Radio around 7 pm Tuesday night. He asked if I could call into the show and chat with he and Lionel. They were talking about some of the changes he made since Ironman Texas that propelled him to a sub 8hr victory at Ironman Arizona. I hopped on the show remotely for a few minutes; we had some great dialogue. If you missed it here is a link to the show: RunningFlat Radio - Lionel Sanders. The interview with Lionel gets going around 10:30 into the podcast. In my opinion the most important take away from the conversation is the ability we have to train our digestive system to take on more fluids and fuel. This is a concept that was first shared with me by Mark Linesman from Loaring Personal Coaching at a Tri-Clinic a couple of years ago. Mark talked about training our system to take on more carbohydrates, fluids and electrolytes over time; somewhat like other training where we stretch to create an adaptive response. There is no question that the more calories we can ingest during exercise while maintaining our electrolyte and hydration levels, the better we can perform and ultimately the better we recover so we can do it again tomorrow. The caveat of course is ensuring the ingestion of the fuel does not result in gastric distress and ultimately affect your performance. That is truly where the training of the system comes in. The off-season for endurance athletes is great time to use the base training periods to tune your digestive systems to take on more fuel. You will get more from your workouts and recover stronger; we may not get you to a sub-8hr Ironman but I know we will get you closer to your potential. SWEAT Fitness and Performance now fuelling on Infinit! 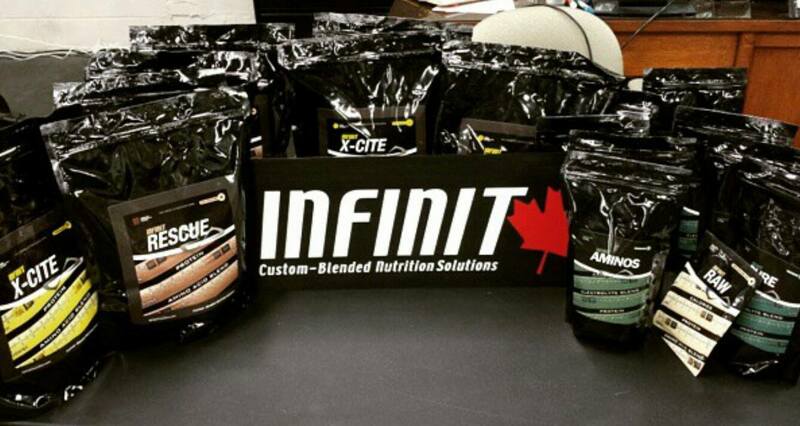 We are excited to announce that SWEAT Fitness and Performance is now fuelling on Infinit! 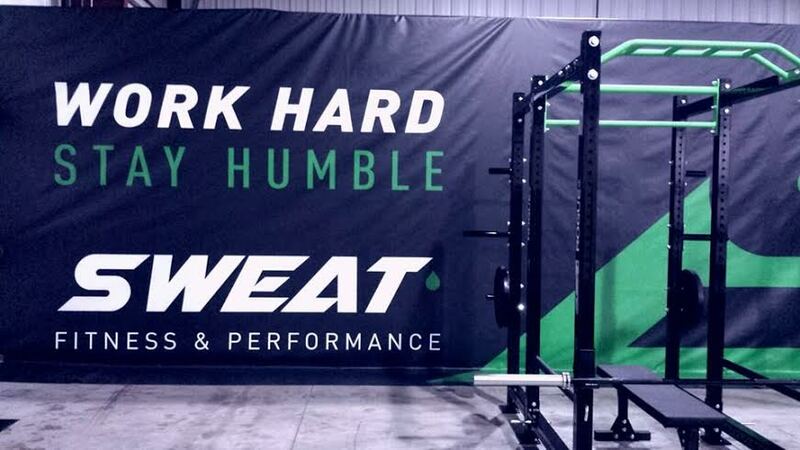 Sweat is located right here in Windsor, ON and owner Mike Patella understands the importance of a high-quality nutrition to supplement your everyday workouts - a match made in heaven! 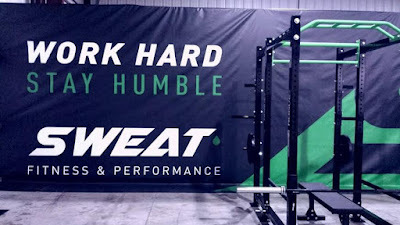 SWEAT specializes in providing personal training, semi-private, and athletic development and team training to it's clients. 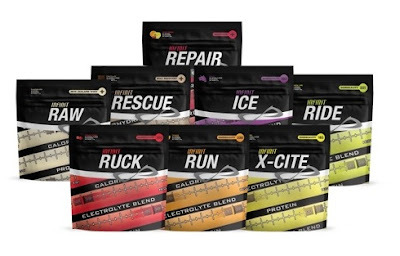 Mike is just as excited to provide his athletes with top of the line sport fuel. "Choosing Infinit Nutrition has been pivotal in enhancing the well being and health of my clients as well as taking their fitness to a new level. 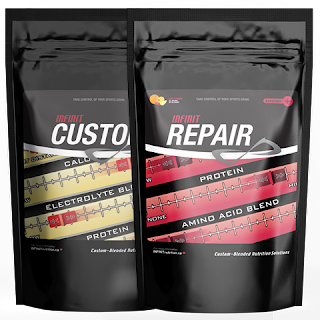 Infinit Nutrition has given me the peace of mind needed when it comes to high standard in quality products as well as excellent customer service." 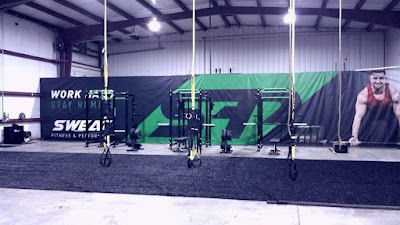 We are thrilled to begin working with Mike to bring his customers the best sport fuel there is! Fuel Like Lionel did at Ironman Arizona!! 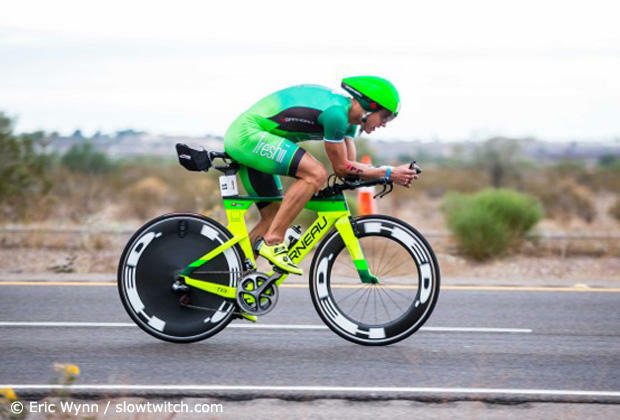 This past weekend Lionel Sanders travelled south to compete in the Ironman Arizona on Sunday, Nov. 15th. We worked with Lionel to tweak and dial in his nutrition for this race following the World Championships in Kona back at the beginning of October. Check out the blog post we wrote about the road leading up to Ironman Arizona here: Lionel's Infinit Fuel Dialled in For Ironman Arizona! 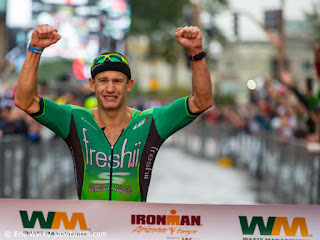 Lionel's nutrition and training regimen proved to be effective as he raced Ironman Arizona in sub 8 hours on his way to his first full-Ironman victory (Lionel won Ironman Florida as well, but the swim portion was cut due to weather). The face of a champion who gives it his all out on the course. Lionel finished the swim portion of the race in 54:04 which placed him in 18th in his division going into the bike. Quick work on the wheels launched him to 3rd amongst the PRO men, completing 112 miles in 4:13:38 at a pace of 26.50mph. Looking to capitalize on the run he pushed a pace of 6:22/mi - the second fastest run of the day. He finished the race in 7:58:22, 2 and a half minutes faster than the second place finisher, fellow Canadian Brent Mcmahon. This was Lionel's first race for the season that would count towards the 2016 Ironman World Championships - we think he's made a GREAT start and are looking forward to fuelling him through the rest of his journey. Interested in hearing Lionel's stories from the race? Make sure you're at the McMaster Tri Clinic on December 5th! 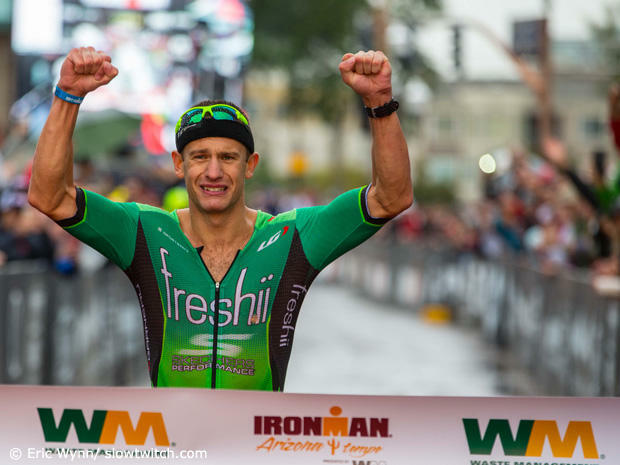 More info here: Infinit Nutrition Presents the Personal Best McMaster Tri Clinic! Want to Fuel Like Lionel? 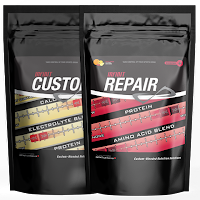 To celebrate his victory we are running a sale on our custom nutrition. If you aren't aware we helped Lionel customize his sport nutrition to meet his own training needs and we want to help you do the same. Order your PRO Custom Consult for 50% of the retail price now until Friday, Nov. 20th at 11:59pm. Infinit Nutrition Presents the Personal Best McMaster Triathlon Clinic! We are excited to announce that we will be at the upcoming Personal Best McMaster Triathlon Skills and Seminar Clinic! The event, which features a day of skills sessions and lessons with some of the top athletes, coaches and researchers in Canada, will also include the Trisport Subaru Race Series, Multisport Canada Race Series and Triathlon Ontario Banquets. The Tri-Ontario banquet will feature the presentation of MultiSport Canada's Recharge with Milk Series Awards. This clinic presents a unique opportunity for young Canadian athletes to learn from Olympic swim-bike-triathlon coaches, world class lecturers, and top Canadian elite athletes and researchers. The event will take place beginning at 7:45am at McMaster University in Hamilton, Ontario on Dec. 5th, 2015. Every participant will have the opportunity to customize their own daily schedule to attend the seminars and banquets that they please. Dr. Leith Drury: Sport Psychologist for endurance athletes. Past World Tri Champ. Taylor Reid: Pro Triathlete. Recent Winner of 70.3 Ironman Vegas. Olympian, World Champion and Pan Am Silver Medalist and Team Infinit athlete Melissa Bishop will be a keynote speaker at the event during the Triathlon Ontario Banquet. On December 5th, Subaru Tri Series has their year-end Breakfast Awards Banquet from 9-11am and the Multi-Sport Drink Series will have their lunch hour Awards Banquet from 1-3pm. Finally, Triathlon Ontario will finish off the day with their year end banquet from 5:30-8pm. All Banquets will take place in Celebration Hall. The day will begin with a participant meeting from 7:45am until 8:45am, which will kick-start the seminars and clinics for the day. There are 4 two-hour sessions, 9am-11am, 11am-1pm, 1pm-3pm and 3pm-5pm. E) Then a 2hr seminar presenter that is going on from 9-11, 11-1 and 1-3pm in the main lecture hall. From 3-5pm, everyone in the camp is in the main lecture hall for a Question and Answer Period for 2hrs. I will be emceeing the 2hr block where I will be asking questions and the audience gets to ask questions. Lionel's Infinit Fuel Dialled in For Ironman Arizona!!! 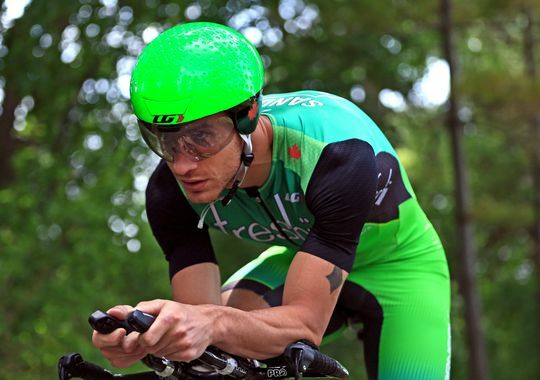 Lionel is coming off of a 14th place finish at the World Championships in Kona. A great rookie performance and we are looking forward to many more. Nutritionally we had a pretty solid plan for Kona that was executed well. Lionel was able to get all his fuel and water in which allowed him to perform - he had the 8th fastest bike/run split of the day. When you are competing against the absolute best in the world, that is saying a lot. As you diagnose and reflect post race there is a desire to become much more aero and have less weight during the bike. This was a must as Lionel actually pushed one of the highest wattages on the bike but this didn't translate into a top 5 - bike split. Lionel gave us this challenge for Arizona - "I need all of my fuel in one bottle so I can reduce the weight and be way more aero". The task was made easier knowing the temperature, humidity and winds would be much more favourable in Arizona. Based on recent sweat work, we know Lionel will only lose about 1.4 L / hr, opposed to the 2+ L he experienced at Kona. We will be able to keep him optimally hydrated, fuelled and have the right amount of electrolytes with 2 servings of his custom blend / hour. He will be on the bike for just over 4 hrs and can leave T1 with Infinit in an aero bottle, therefore we need 8 servings in one bottle. 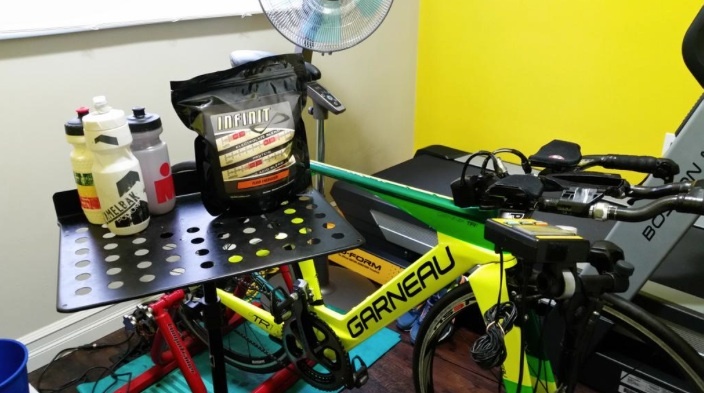 So that is what we trialled - Lionel's blend is a little lower in concentration than most athletes because he has a such a high sweat rate, that happens when you push 300+ watts on a bike. I myself have used 5 servings of my IM blend per bottle with ease. We were hoping that we could squeeze 8 servings in for Lionel - we did and Lionel has trialled it for the last couple of weeks - we are good to go for Arizona! Lionel's feedback: "Actually kind of like the taste...sort of like sweet tarts". Same great fuel - Check! Looking forward to watching Lionel again this weekend as the journey to Kona begins again. Looking for the perfect fuel to supplement your lift or WOD? We've got you covered! Our Infinit Beta-Amino blend is the perfect mix of Beta-Alanine, Amino Acid Blend, Beet Root Powder and Stevia to keep you hydrated throughout your workouts. What's the story behind our Infinit Amino blend? 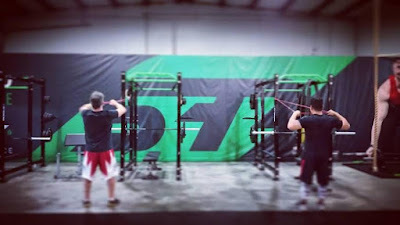 We had some of our CrossFit owners and athletes come to us asking if we could create a high-branch chain amino acid and beta-alanine blend that they could take pre- and intra-workout. We worked with them to create what is now our signature Amino Blend. 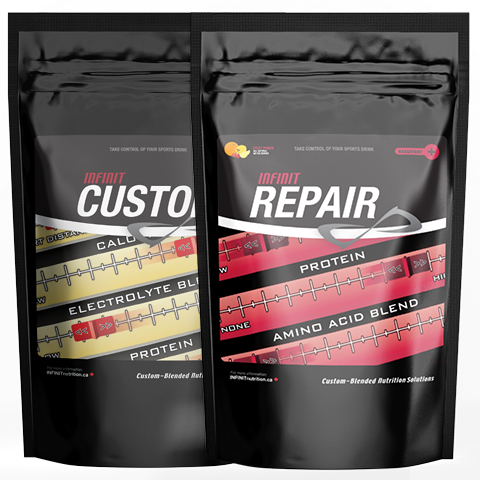 They helped us to find the perfect balance of Amino Acids and Beta Alanine and we then tested several samples to get the taste just right - we wanted to mask the strong taste of the Amino's and Beta and we agreed on using Beet Root Powder and Stevia. Initially, we used another sweetener which also added some calories to the blend. However, our athletes wished for a calorie-free workout blend and that is why we chose to sweeten with stevia. Team Infinit athlete Erica Livett and CrossFit owners Bobby Tran from CrossFit The Workhorse Lifestyle and Garth Cooke from CrossFit North Okanagan all love their Infinit Blends, especially our Amino's. Erica Livett, CrossFit Regional Athlete: "No Fluff in this stuff! Just a great blend of Amino acids and buffering agents allowing my body to perform at it's best. I’ve tried lots and this is hands down the best. Pure and awesome. When you train hard you need to fuel accordingly. Infinit amino are the perfect blend of amino acids and buffering agents that allow my body to perform at its peak and prevent muscle breakdown. Plus there’s no artificial fillers, just good old beet juice and stevia making for a pleasant tasting drink." Garth Cooke, CrossFit North Okanagan: "I have to say I look forward to this pre/Peri workout drink! Tasty and highly effective for lactate buffering. Easy to drink and absorb. Love this product!" 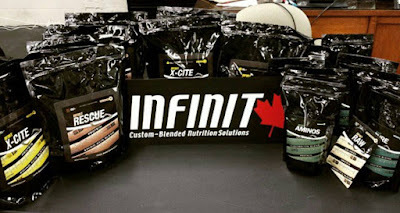 Bobby Tran, CrossFit The Workhorse Lifestyle: "One of my favourite supplements by Infinit is their Aminos blend. With all of the different aspects of CrossFit it is quite common for athletes to do multiple workouts in one day. A typical day may be a gymnastics skill workout in the morning, a weightlifting session at noon and a conditioning session in the evening. This type of volume can be extremely catabolic so it is important to have a supplement to support recovery- Infinit's Aminos blend did just that for me. I was able to pull off 2-3 workouts on any given day and have the confidence to do the same thing the following day. The blend tastes great, is easy to mix and doesn't contain any artificial sweeteners which is a huge plus. I would highly recommend this product to any serious athlete who has a high volume workload and needs the edge to support their output!" Ready to try Infinit Beta/Amino Blend? We promise you won't be disappointed!